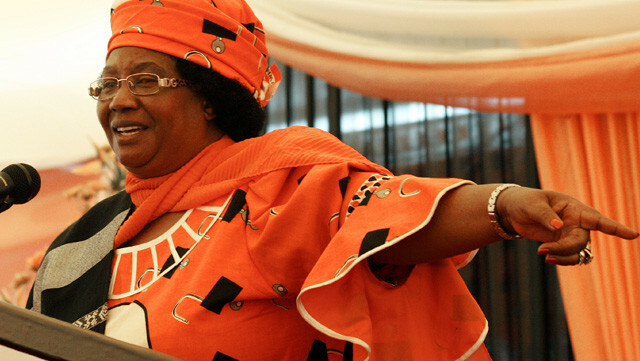 Reports that Malawi24 has received have revealed that former President Joyce Banda who is allegedly on the run from Cashgate related cases sneaked into Malawi in the night of 04 August before going back after having a meeting with party leaders. According to a highly placed source within the PP ranks, Banda came into Malawi from Zambia using the Chipata border after leaving South Africa which has granted her a kind of asylum to help her run away from the cases that are closing in on her. The source disclosed that when Banda sneaked into Malawi she met with party leaders and gave then a shouting for what she said is their failure to keep the Mutharika government on its toes with relentless criticism and sabotage. “She was here to strengthen the party,” said another source who dismissed the assertions that she had come to give the party a dress down for their failure to remain vigilant. The source corroborated however that the former President had been in the country in the company of her son. However when contacted to confirm if the former President was in the country, spokesperson for the former ruling People’s Party Kenneth Msonda dismissed the issue and said it was a lie. “I do not know anything about that, she is not afraid of coming back to be sneaking into the country,” said Msonda in an interview with Malawi24. Convicted thief Oswald Lutepo who will be sentenced tomorrow in Zomba alleged that Joyce Banda used him as conduit to steal about K5 billions of taxpayers’ money. No problem here Coming or not coming she did her part. DPP ndimanyi basi. JD adzalamulenso kapena adzatani? Mukufuna JB abwere Kuti akugawireni nzeru AGALU INU?????????????????. Mbolo Panyini.